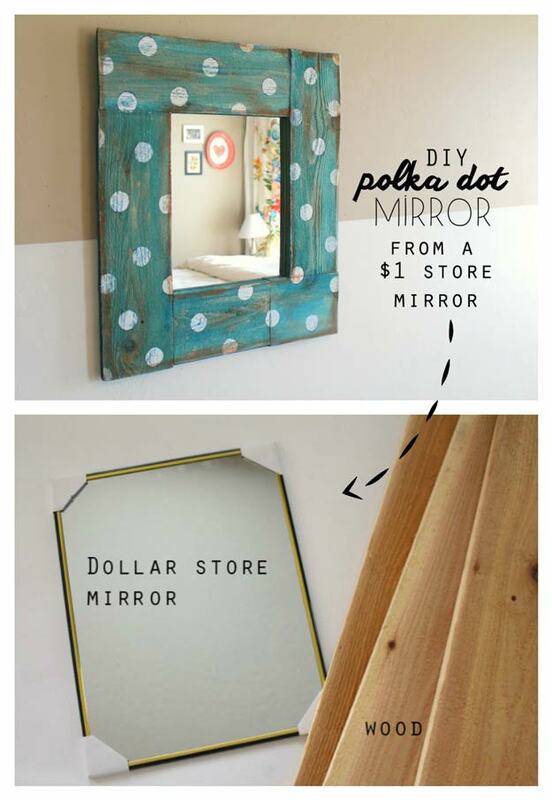 Looking for some fun but inexpensive DIY ideas you can make on the cheap? 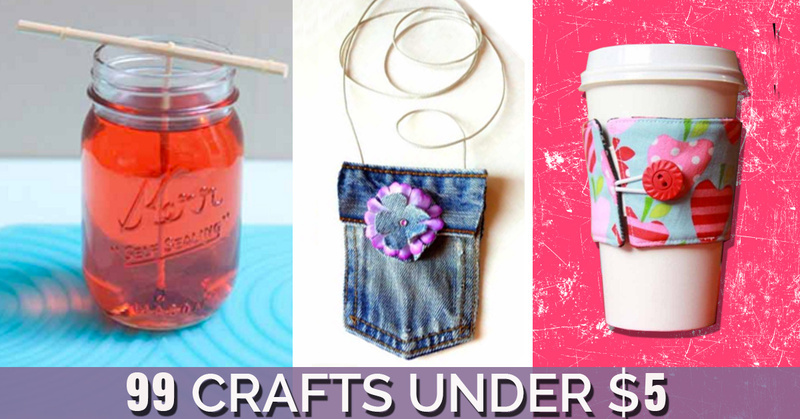 Try these 99 awesome teen crafts you can make for less than $5 each. Not only are these do it yourself crafts cheap, though, they are actually all pretty cool. 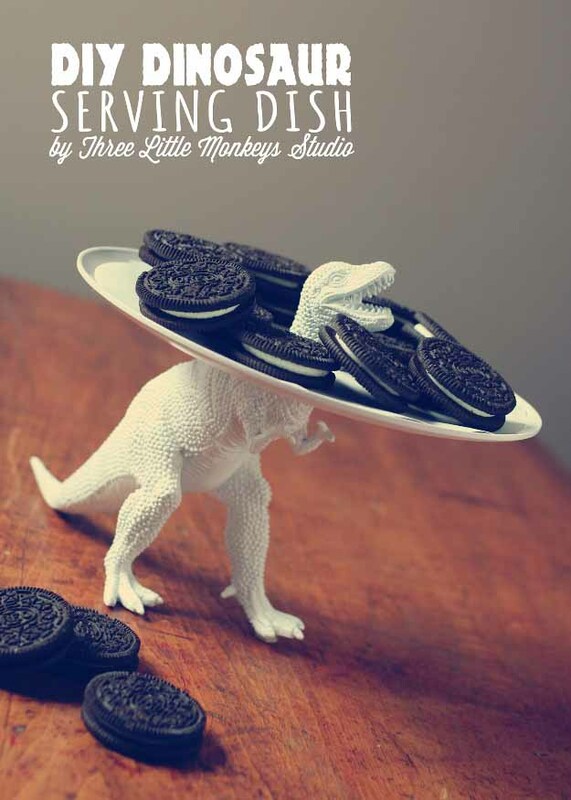 Some DIYs for teens are just downright stupid, but I have made more than 10 of these off the list. I am thinking about making some to sell soon. I would love to know your favorites and if you have any more fun teen crafts you want to share with me. Share with a comment below or follow me on Facebook and message me there. 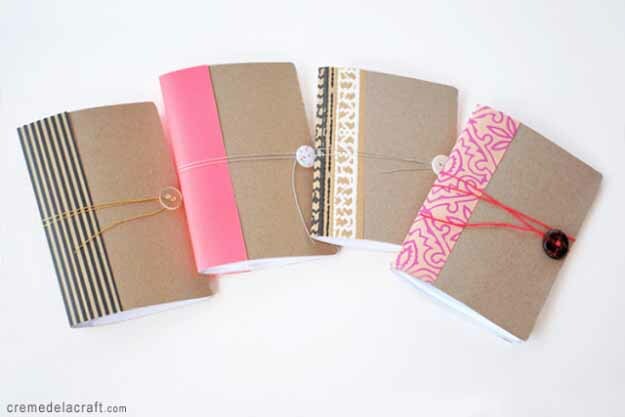 With this list of awesome inexpensive crafts for teenagers, you are sure to find thrifty homemade gift , crafty DIY projects you can make and sell, room decor you can make on a budget. 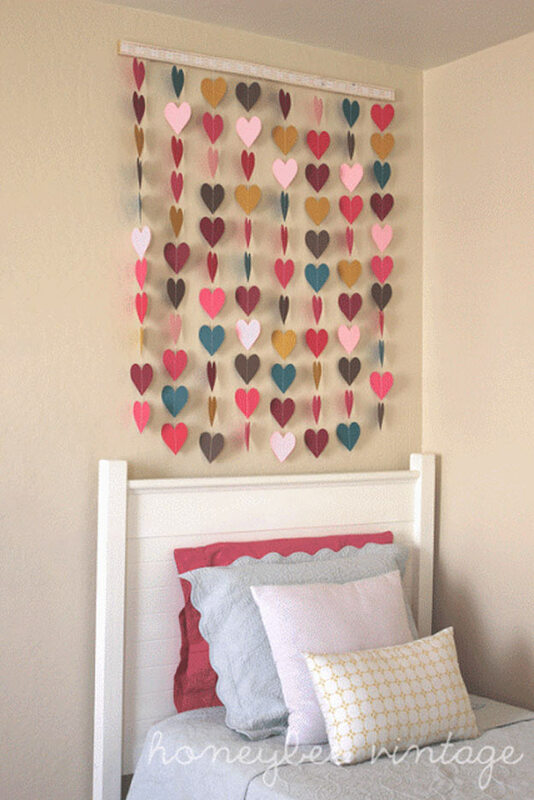 DIY jewelry, art, do it yourself fashion, wall art and more… Check out this best list of DIY projects for teens, tweens, teenage girls and even adults. You are sure to find at least 10 things you absolutely have to make this weekend! Hit the dollar store for cheap supplies, but many of these cool but cheap DIY ideas can be made with things you already have around the house. This is a fun little sewing project that just about anyone can make for next to nothing. If you need a cool DIY gift idea on a budget, this little pouch is the crafty project for you. Use leftover fabric scraps or repurpose an old clothing item for a fun print. Add a zipper, and voila! 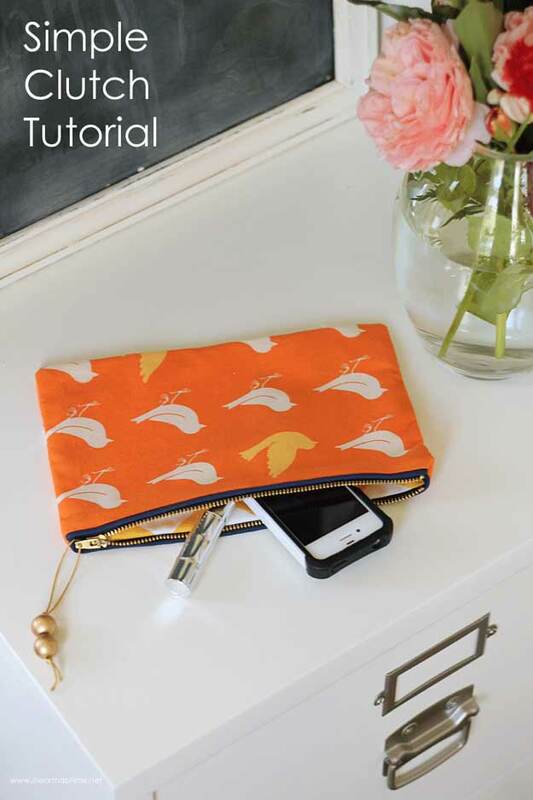 Store makeup, school supplies, your phone, loose change and more in this adorable little DIY clutch. 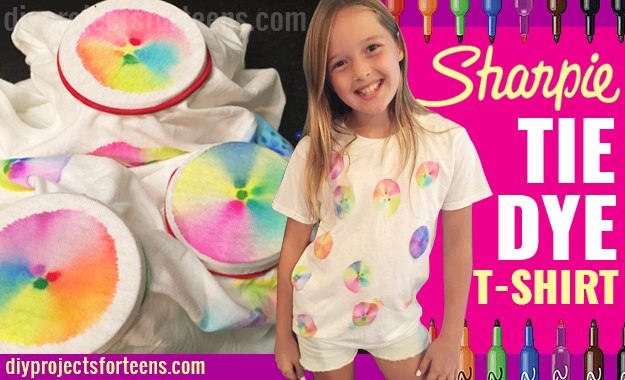 One of my favorite projects ever, this cool tie dye T-shirt is made using only Sharpies and rubbing alcohol. Well, you will also need a mason jar, but I am thinking everyone on earth must own at least one of those by now… Get creative with your Sharpie dots and patterns, then add alcohol to make the pattern bloom into a unique artistic creation. The alcohol also helps set the Sharpie in the T-shirt fibers. Super cheap to make, you just need a plain white tee.I had my friends come over and make some and it was super fun!Cute idea for girls slumber parties or birthday party favors. 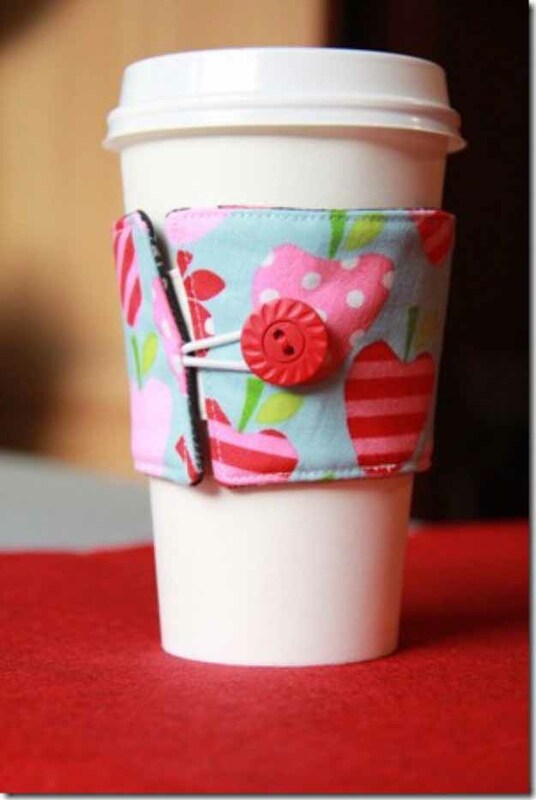 A cute coffee cozy makes an awesome DIY gift idea – after you have made 2 or 3 for yourself, that is! Starbucks is even better with your own homemade coffee cozy. Ditch the paper wrap for a hand sewn craft you will enjoy for many coffees to come. Pretty! 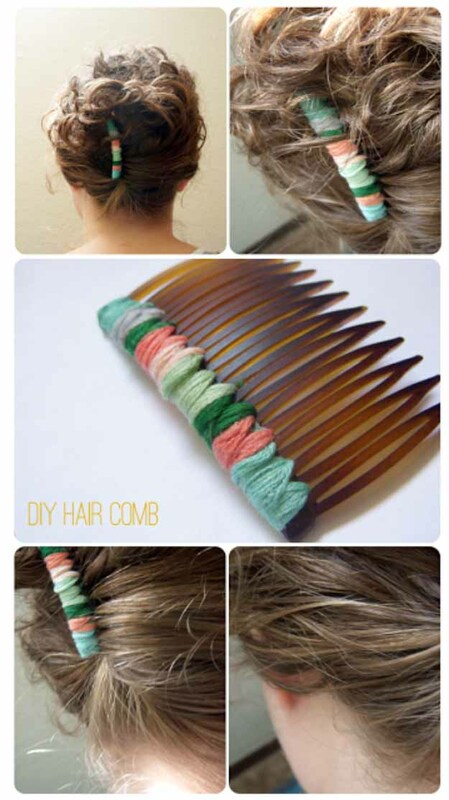 This comb takes on a whole new look when you add the colors of your choice. Much more fashionable and dressed up. I made some of these in neutral colors and then some fun brights to go with my summer stuff. Friends have been asking me to make some for them and I am seriously thinking about starting a business selling these crafts. You can buy cheap hair clips like this at Walmart or a dollar store. Some of my favorite inexpensive craft ideas involve dressing an ordinary item up a little bit. 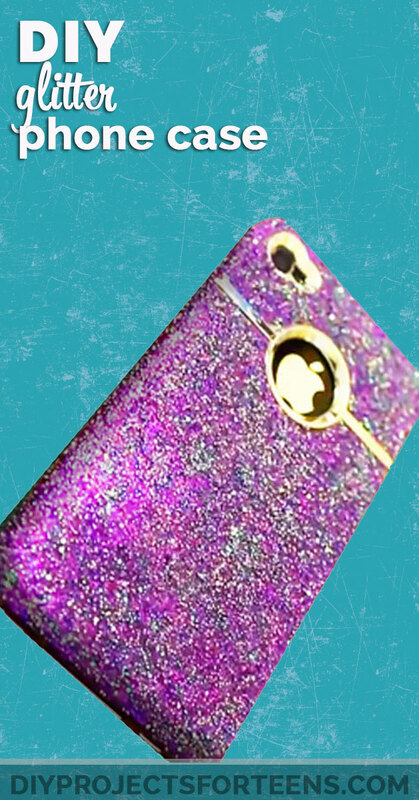 Glitter, no surprise, is one of my top go to crafting supplies. If you are looking for a fun and easy DIY idea and are in need of a different look for your phone, you have to try this cool project.